Scrapbook paper storage solutions are easier to come by than you think! See if you have an old accordion file somewhere in the basement. If you do, you’ve got yourself one of the best scrapbook paper organizers out there! Here’s a great way to keep your single scrapbook paper sheets organized. 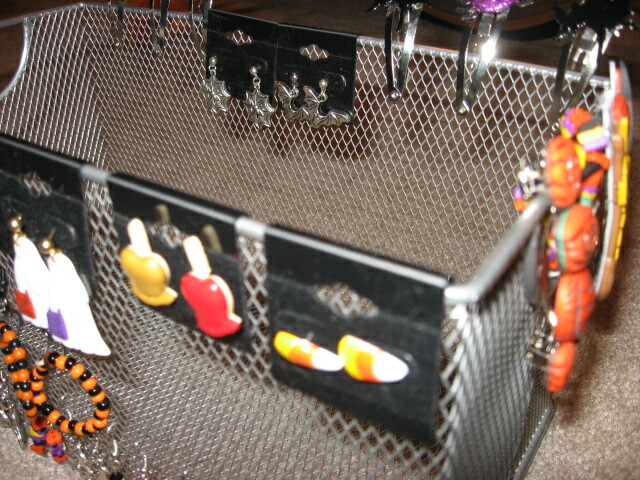 All you need is a collapsible sweater shelf and a few of these storage bins for paper, available at Cut Rate Crafts. Label the bins by color, paper theme, or whatever system works for you. I use a pant/slacks hanger for rolls of ribbon. This is hanging from the ceiling near my desk. (Picture will be included in upcoming post with pictures of my studio). We’re meeting up and you’re invited! We have so enjoyed watching the Craftsy community grow to over 350,000 members that we’d like to throw a party, and we’d love for you to come! Mark your calendars on January 26, 2012 for the Worldwide Craftsy Meetup Party. We’ve partnered up with meetup.com to help host Craftsy parties worldwide. What is a Craftsy Meetup Party? A great opportunity for crafters just like you to get together and talk about your projects, meet other people, and share ideas and inspiration. what you’ve been working on. Work on a charity project together. Have a kids’ crafting table. or set up a make & take. We’ve created a Craftsy Meetups Everywhere page at www.meetup.com/Craftsy where you can join a Craftsy community in your area. STEP 1: Find the Craftsy Party community in your area. Click on the name of your city, and hit RSVP to join. STEP 2: Become a Craftsy party organizer and set a location for your Craftsy party. Some suggestions are: your local coffee shop, a public library, a restaurant, or another public meeting space. For those of you who live in the Denver / Boulder metro area, we will be having one here and we’d love to meet you! We’ll have lots of activities, prizes, goody bags, and some great food! Details will be coming soon. For everyone else, join your local community and set a location for your party. We’ll be sending out a fun goodie box full of party favors, supplies, and other crafty goodies to the 10 Craftsy party locations with most RSVPs by January 5, 2012. It has been a long day. 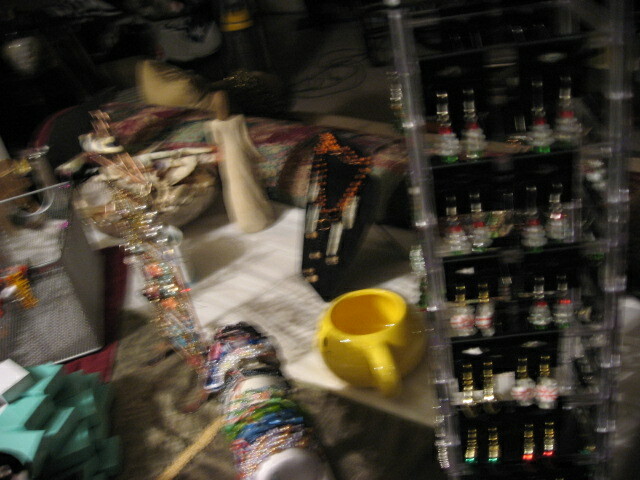 I have all my jewelry designs and creations out in my dining room. My kitchen is loaded with different items I want to paint and re-purpose to use at craft shows. I want my display to have height and I want to eliminate the use of tables as much as possible. I also want my displays to be easy and quick to set up. I don’t want to be hanging individual pieces for four hours prior to a show. 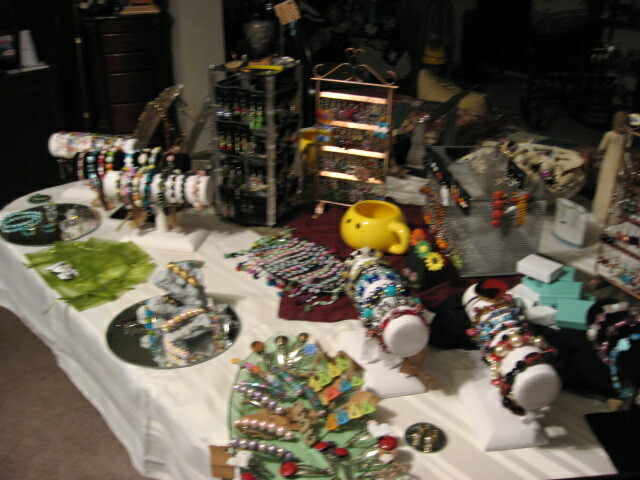 These are pictures of my designs and creations spread around my dining room. I made a mess. Some of the pictures are also terrible. 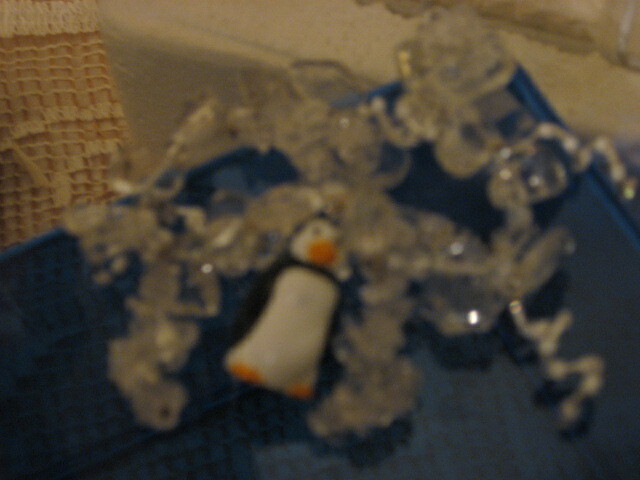 This is one of my favorite designs; “Frozen Penguin.”. Tough to see the details. Will have to try a better picture so the details can be better appreciated. It is for sale. 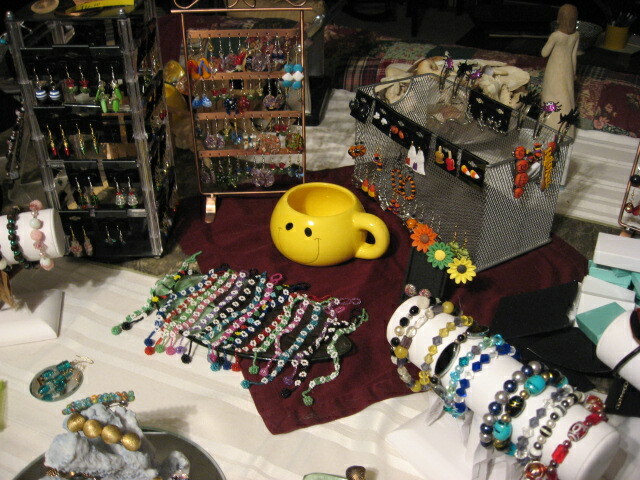 Everything in this post is for sale except display features and the “happy Face” Mugs. So, as you can see I have much more work to do. Once I get some larger displays made I should be able to organize better. The picture make my display seem more of a mess than they really are. 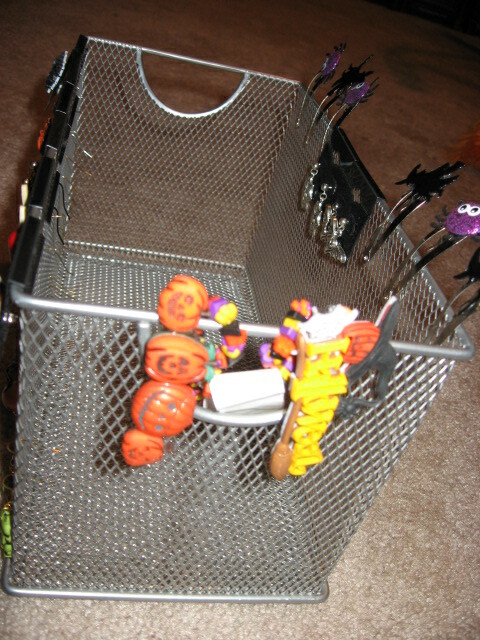 I will be getting rid of the plates and the wire basket displaying the Halloween jewelry. I am thinking of using Black, White, Gold and a Dark Royal purple as my “splash” of color. My next post will be the beginnings of my displays before I begin working on them. 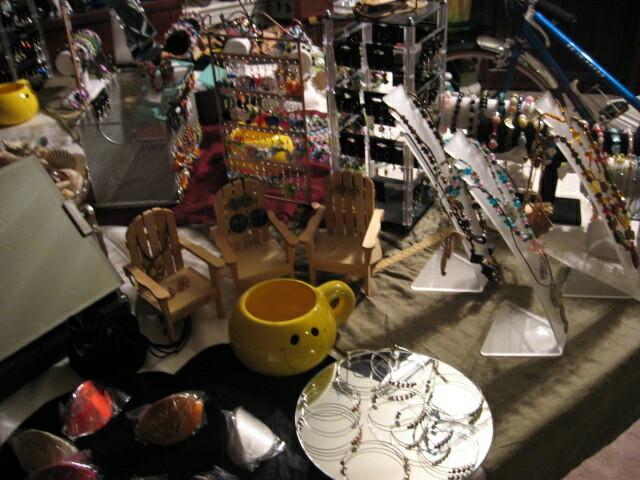 Also coming are some unusual uses for ordinary things and pictures of my studio. My studio pictures are messy. 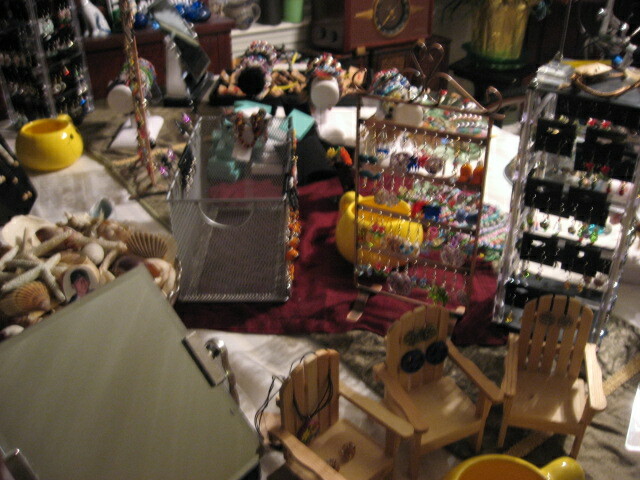 The mess is because I am still finishing putting things away and I got a few orders of supplies in. There are some odd decorations in my studio. Most notably children’s items and sports equipment. 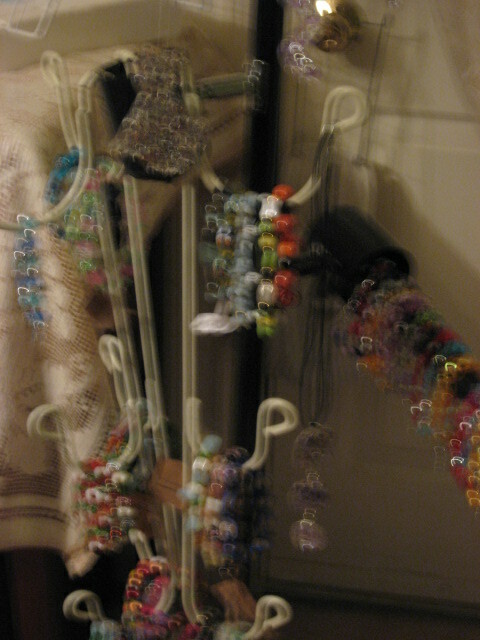 My studio was my 17 year old, Matthew’s bedroom before he died of a seizure while asleep in bed on May 1, 2010. I kept the memories that made me happy and really meant something to him. Where I could I added items reminding me of my two elder sons. My son Bryant has a blog, “Semi-daily Grumblings of a Madman.” http://DailyGrumblings.wordpress.com. There is also a link posted on my blog. If you are into crafting with stamps and creative challenges check out my other links. Ok, I managed a retail store for many years, so I’m used to this type of customer. I’ve met hundreds of them, and I know it’s less about whatever she is looking at and more about what is going on in her own crazy brain. Some people just have this need to be nasty. But this was a little different. What she was cruelly and callously saying to me was that what I created had no value. My art has no value. It is worthless and ugly. And I won’t lie — it stung a little. The offending freeform crochet hat: Lettuce Go to the Mothership. $150. You can’t see from the photos, but it is made of thousands of tiny little stitches, all folding in on themselves and creating a pretty elaborate underwater sea creature type effect. It’s made of hundreds of yards of very nice wool in colors that I carefully selected and put together in a way I thought would be pleasing. I spent probably 18 to 20 hours making this hat. Without accounting for the cost of materials, at $150, I would be paying myself about $7.50 per hour for this hat. This hat that I created. This hat that is my art. This hat that is one-of-a-kind, that evolved from a tiny little round of crocheted stitches into its own Thing. This hat that I made with my own hands, that I kept working on until my hands began to hurt. $7.50 per hour. That is less than minimum wage. Let’s add in the cost of materials, which were probably somewhere in the neighborhood of $40 for this hat. I used a combination of a handspun wool and some other more commercially available wool. That drops my wage per hour to about $5.50. Now let’s consider all the other costs: sales tax, for one, which I don’t charge to customers (too messy), but I must pay on every item I sell. Sales tax in most places near where I live & work hovers right around 8.75%. So on that $150 hat, I will pay $13.13 worth of sales tax. My hourly wage is now $4.84. Is the customer paying with a credit card? That’s another 3%, or $4.50 I don’t get to keep from the sale of that hat. How about the cost of the tags I make and print out at home? The tissue paper I wrap the hat in? The bag I put it in? My business cards? I could make two of these hats per week, assuming they are all this intricate. Even that is pushing it; 40 hours per week of crocheting would be pretty hard on my hands and wrists. But let’s assume I make two such hats per week, priced at $150. My income? $193.6 per week, or just over $10,000 per year. And that’s before all those pesky other business expenses, like licensing fees, the cost of office equipment, gas, my craft fair booth display, and self-employment tax. Can YOU live on $10,000 per year? If anything, I set my prices too low. And I acknowledge that. I do it because this is my art. I love it, and I will continue to do it, even if no one ever buys one of my hats ever again. I’ll just be that crazy lady who compulsively crochets a bunch of weird stuff. My future grandchildren can inherit all those bizarre things that crazy Nana Somer made back in the olden days. If you are still reading this, I ask you: please. Next time you are at a craft fair, or on Etsy or another handmade site, think about how much work, love and time went into handcrafting that item you are thinking of buying. If the price seems high, I assure you, it is not. 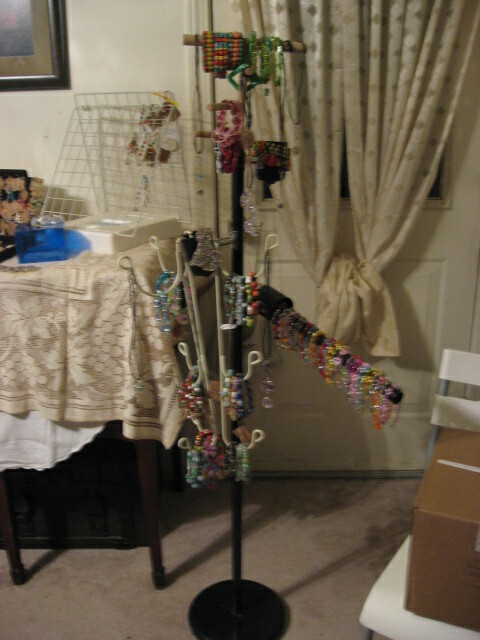 My Response: I always want to use expensive beads in my projects some costing upwards of $25 each. 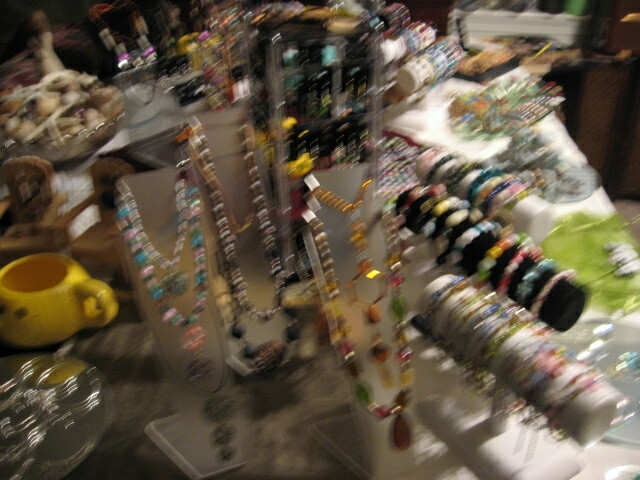 Using eight beads would put the iteabove $400 and I just don’t see anyone paying that price at a craft show. I try and keep my costs down so I can make some money. This makes my crafting much more difficult and also impinges on my creativity. 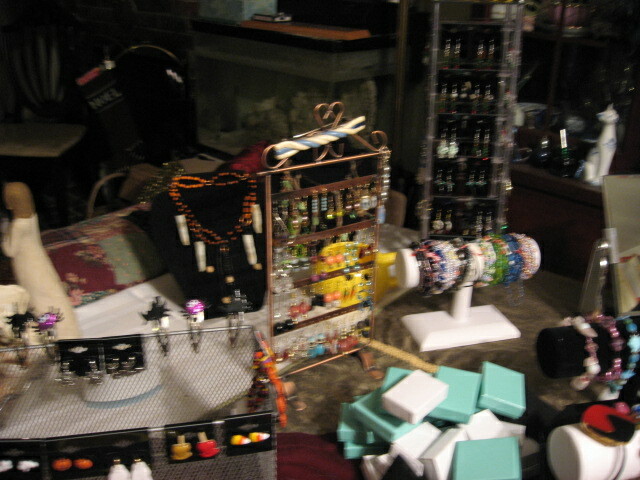 I love making jewelry and many other crafts. 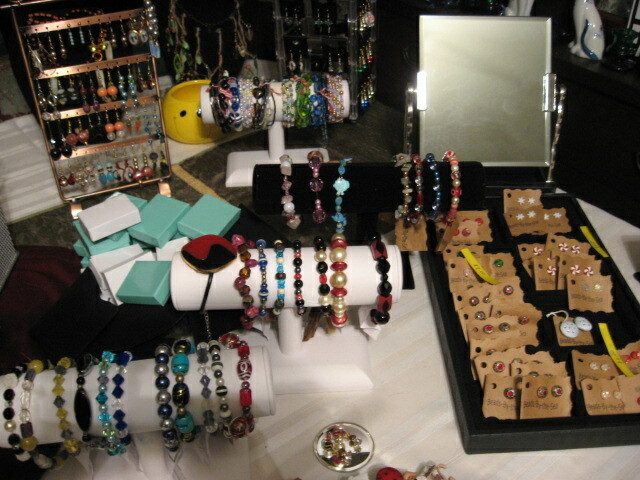 I have made so much jewelry that I could not possible wear it all so I need to sell it. I also would like to make money so I can purchase more supplies. 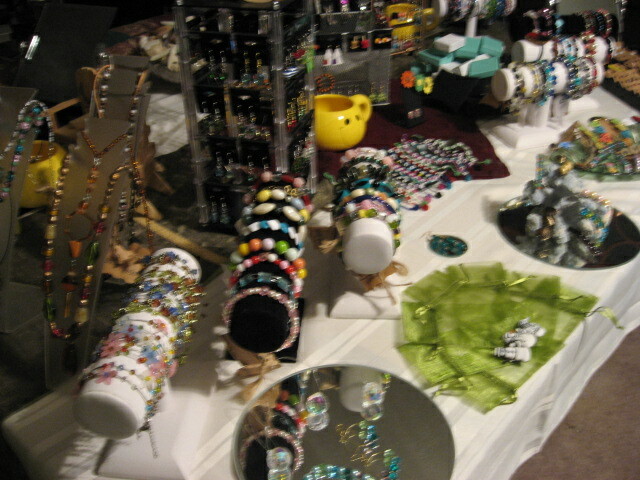 The more I can invest in unique supplies the more creative and appealing my jewelry is. I also like to make my own findings when I have the time. The type of project I am working on will also determine whether I put the time and resources into making my own findings. I have to agree with the above posting. 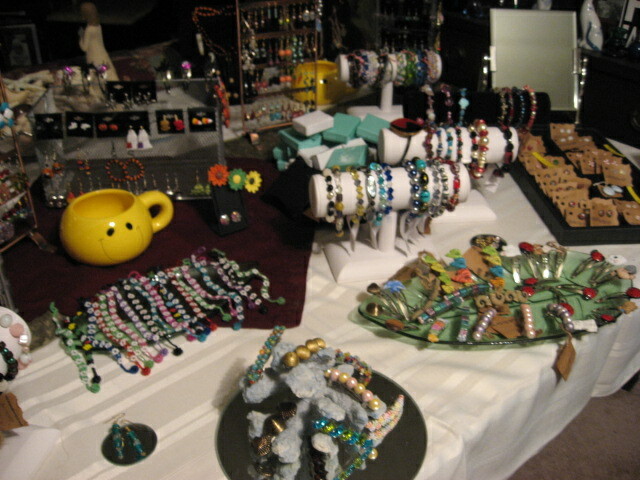 it is difficult to sell your own creations after you have put your time and love into it. Parting with something you love that is one of a kind should help some price their crafts as they really should be priced. I do tend to put lower prices on the items I have no special connection or feelings for. 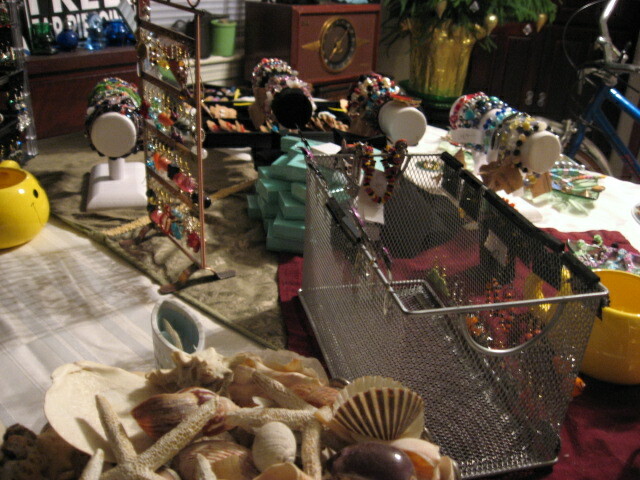 I used to take apart the items I did not like until a wise woman (my mom) pointed out that someone else will love it. Just like when you go clothes shopping there are things you like and purchase and others you don’t like and therefore do not purchase. Someone buys the things you don’t like. 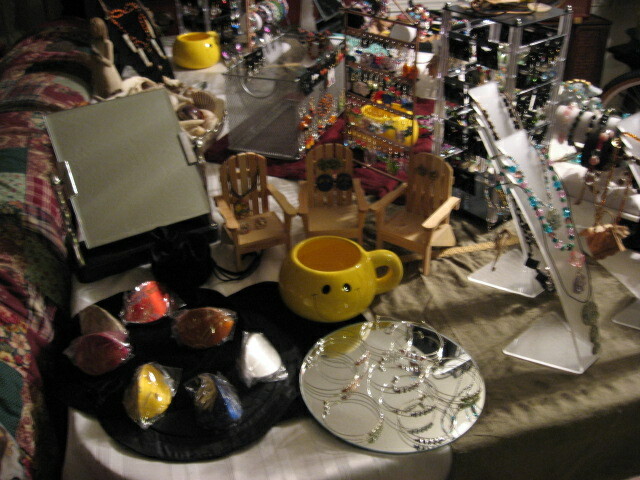 When you only sell the crafts you love you are limiting your sales to only the people who love the same things as you. I love the hat in the previous posting and if I could afford it I would want to buy it but I would never wear it. I think it is an awesome piece of art. I also would never wear a $200 hat because I would lose it like I have with every other hat I have ever owned. I would also be afraid someone would steal it.